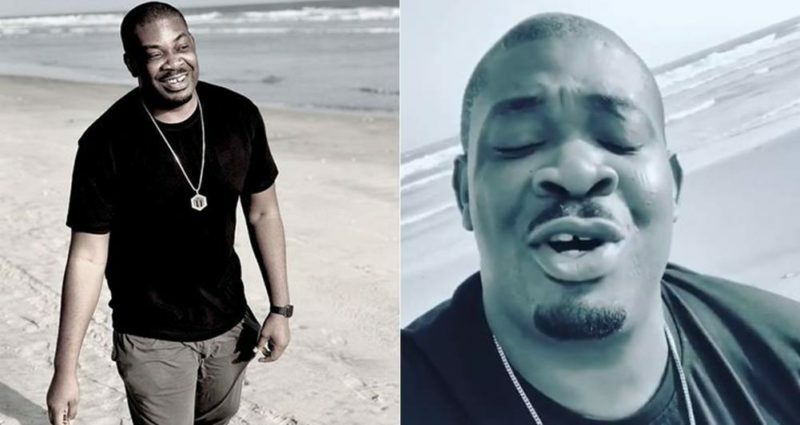 Mavin records boss, Don Jazzy has just dish out a funny video on social media of him singing to his mystery boo. After Banky W get married, it seems Don Jazzy is now Nigeria’s most eligible bachelor followed by MI Abaga. Don Jazzy is presently in Ghana and he went to the beach this morning to sing a love song for his mystery boo.